Sabbath-keeping has several holistic health benefits when done for intrinsic reasons. Most research on Sabbath-keeping is about individuals where Sabbath-keeping is customary. This organic inquiry describes how a Sabbath promoted transformation for ten women where Sabbath-keeping was not the norm. Six themes emerged: Sabbath-keeping enhanced self-awareness, improved self-care, enriched relationships, developed spirituality, positively affected the rest of a Sabbath-keeper’s week, and Sabbath-keeping practices and philosophies also evolved over time. The author argues that reviving the best parts of Sabbath-keeping is an effective, accessible, holistic practice that can contribute to the well-being of individuals, communities, and the earth. 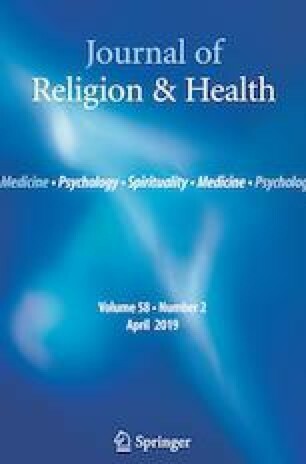 All procedures performed in this study involving human participants followed the ethical standards of St. Catherine University’s Institutional Review Board and the 1964 Helsinki Declaration and its later amendments or comparable ethical standards. Braud, W. (2010). Towards a more satisfying and effective form of research. Contemporary Psychotherapy, 2(1). www.contemporarypsychotherapy.org. Accessed 28 Oct 2015. Keeley, B. (2007). One day of hope: Resistance, faith and Sabbath keeping. In Conference Papers: National Communication Association. www.natcom.org. Accessed 17 Feb 2015. Woodley, R. (2015). An Indigenous theological perspective on Sabbath. Faculty Publications—George Fox Evangelical Seminary. Paper 49. http://digitalcommons.georgefox.edu/gfes/49. Accessed 29 Nov 2017.